There’s a group of people in New Jersey who are using their experience with heroin addiction to save the lives of others who are at the lowest point of their lives. They’re not just talking about it, they’re acting on it. New Jersey’s opioid ravaged residents have been blessed with volunteers who are on call 24 hours a day, 7 days a week. 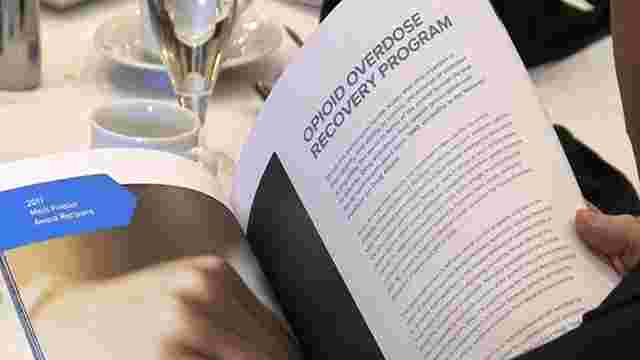 Eva’s Opioid Overdose Recovery Program began in April 2016 in part with Governor Christie’s “Facing Addiction Task Force Initiative,” and the first of it’s kind in Passaic County. Eva’s Opioid Overdose Recovery Program is staffed with 22 recovery coaches. They are available day and night to addicts who have just been revived by the lifesaving and opioid reversal drug, Narcan. These victims are waking up alone and confused in emergency room hospital beds. Most users are suffering from Substance Abuse Disorder, and the next few hours can be very vulnerable for them. For most, the user awakes from their close call and steps immediately into the familiar life of addiction. “I’m there to help any way that I can,” maybe by coaxing them into treatment, she said, “or just giving them my phone number.” Josephine is one of the 22 recovery specialists available to speak with for overdosed users. Cornacchia has been in their shoes, she admits to using drugs for a decade before finding her own sobriety just two and a half years ago. Since the commencement of the program in 2016, Eva’s managed 800 calls for recovery specialists. The goal is to be the overdosed patient’s bedside within 30 minutes of the hospital’s call. Former addicts and Recovery Specialists speak with the patient to see what their mindframe is, and if they’re ready to find treatment. If they are ready to treatment, the specialist is able to connect them with a program. If not, the specialist will then try to establish a relationship, exchange phone numbers and then follow up over a 12-week timeframe. “If we can plant the seed for recovery in someone’s mind, then that is a success to us,” Dix said. The peer recovery support staff deals with opioid problems mostly, but also are able to help alcoholics and crack addicts as well. Dix’s believes that their program is more successful because the ones reaching out to those in need of recovery have the experience most social workers or hospital workers may not have. Through sharing their own experiences, the user knows that this is not some cut and dry routine script, but a heart to heart conversation with a stranger who wants to see them live a better life. Josh Copeland, another one of the programs’ specialists, had his own experience with addiction and has been clean since July 12, 2013. He says users of heavy drugs have all but given up on life, and that in itself presents a new set of challenges when he is speaking to them at their hospital bedside. The state of New Jersey lost 1,901 and one of its residents to opioid overdose in 2016. Now each of New Jersey’s 21 counties uses recovery specialists. The need for specialists has grown so high, Eva’s Village is just one of the contributing programs serving their community to assists those who suffer from substance abuse disorder in their state.